The best, most effective, project managers will tell you that change is inevitable. And most companies will already have a change management policy in place. This is a large component of interim short term management services. One aspect of construction advisory services is being ready for anything. The best managers always have an action plan in place for the next change. 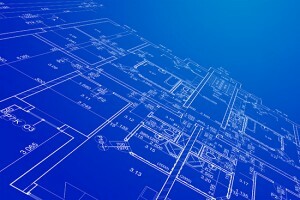 For example – changes to building plans. Each change may require additional input from the city, including permits, which add days to your already tight schedule. Any time there is a change to your plans, you need to be prepared to handle the subsequent challenges quickly to reduce downtime. 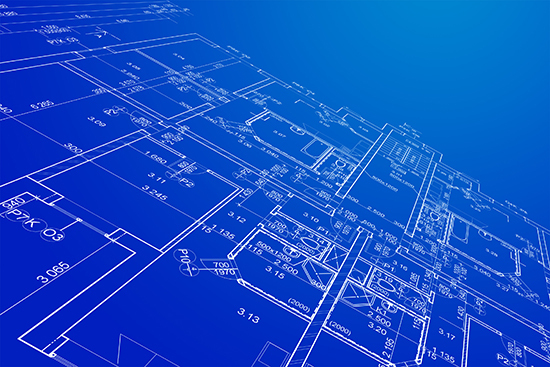 One of the most important facets of construction management is knowing which step is going to cost the least amount of money – and taking that step. So, in the case of this changed deadline, hiring more workers is an option. Additional personnel would help get the project done on time, but then there is the cost of hiring more workers to take into account. So, it’s clear that either way, there will be a cost. The best managers are decisive! If hiring more workers to finish the project on time would cost less than the late penalty, then clearly hiring more workers is the best immediate action. When a manager’s performance is reviewed, their ability to protect the bottom line will be the major index by which they are measured, so the best managers let this guide their every-day decision making. Then, when the costs are clear, be decisive. Bio: Lyle Charles Consulting is an interim short term management firm specializing in all aspects of commercial and residential construction. Most neighbors can turn into enemies, thanks to a property line dispute. Most of these disputes can last for months or even years and can prove to be quite costly. Also, these disputes in question, usually occur when one party decides to add new fencing along a shared property line. While an argument may have to be decided in court, there are 3 principles that property line disputes are usually observed by states. Gone are the days when you’d have to visit the courthouse to obtain a copy of the plot map. With the internet available, you can download a copy of your property’s legal description and plot map and can easily find out where the boundaries lie with a laser distance tool. Better still, you can hire the services of a surveyor to give you an accurate understanding of where the property lines are. When erecting a new fence, since it is a considerable investment to the homeowner, you don’t want to tear it down just because it hasn’t been placed legally. Usually, it’s the governing body that sets the allowable location of fence line but this also depends on deed restrictions or the homeowners association. One should also factor in local utility easements. Of course, not only will the location be decided but also the materials, height, finishes and colors. A number of property owners are of the opinion that if a fence has been in place for a number of years, a legal boundary has been accepted by the owners of the property. Yet very differently, the property’s owners can easily reclaim their square footage since they pay the taxes for the full lot. So, remember, just in case you have compensated them for this square footage, you have no legal claim over it. With summer being just around the corner, you might soon be starting to have guests while you host parties and barbecues outdoors. Bringing improvements to your patio or garden would not only be favourable for your guests, you would also be delighting your family. Kids and adults alike would thrive in the opportunity of having a place to lounge and relax while it might be too hot to remain indoors. The tips below might help you in achieving some improvements in your outdoor area. When thinking about comfort, the furniture would undeniably come to mind. After all, it might be almost impossible for people to relax without having some adequate seating spaces around. Therefore, one of the most effective ways to bring more comfort to the outdoors is by having comfortable outdoor furniture. Piling a bunch of outdoor furniture cushions will contribute to enhancing the overall appeal of the outdoor space. This will make the furniture look more comfortable and inviting for guests and the family. 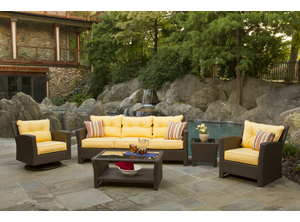 By adding these lawn furniture cushions, you will be able to turn your outdoors into a family getaway spot. In order to make the most of your outdoor spaces, you might want to consider lighting up the place. Garden lanterns of various shapes and sizes are available and these would brighten up outdoor spaces. If electrical connection would be complicated for outside the house, there are numerous solar-powered lanterns available in stores. Wicker Paradise is a family-run business specializing in wicker furniture. The company also provides cushions for wicker furniture.